Confluence Gallery Summer Camps will offer a different theme each week. Children can enroll for one week or all weeks in their age range. Art will be created in the studio, but, teachers may take students on walking field trips in Twisp for inspiration or to collect materials. Students will be required to bring their own water, lunches or snacks and have swim gear and sun protection. Designed for ages 5-8 and 8-11. Class sizes are limited. Early registration is recommended. 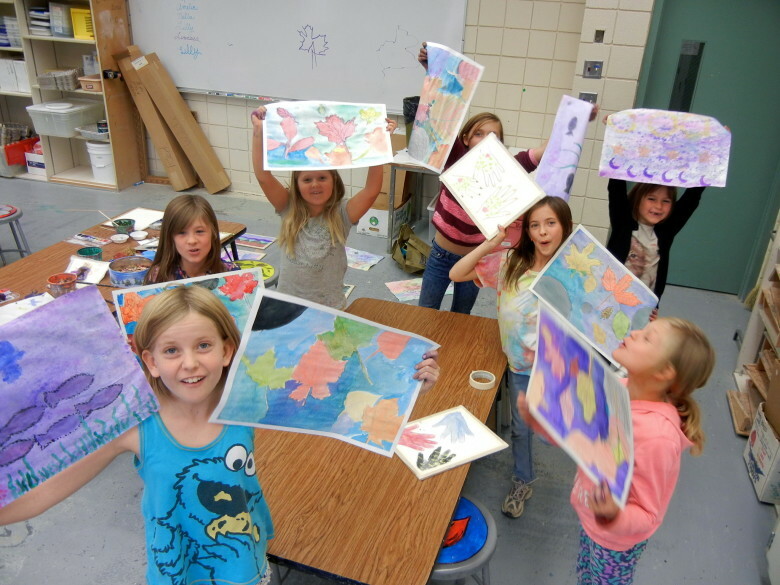 Jul 5-7 – ages 8-11 “Draw, Build, Paint” with Margaret Kingston. Explore different ways of making artwork – from 2D to 3D ! Jul 12-14 – ages 5-8 “Draw, Build, Paint“ with Margaret Kingston. Explore different ways of making artwork – from 2D to 3D! Jul 19-21 – ages 5-8 ”Print Fun in the Sun!” with Laura Gunnip. Sun printing extravaganza in the studio and at the park ! Jul 26-28 – ages 8-11 ”T-Shirts, Buttons & Stamps!” with Laura Gunnip. Printing with recycled materials aka upcycled tweenager fashion! DATES: Jul 5-28, Tue–Thu, 10–2pm LOCATION: Twispworks campus, Twisp, WA. REGISTRATION: $150 each student per session (supplies included). Registration forms available at Confluence Gallery. CONTACT: info@confluencegallery.com, 509.997.ARTS.